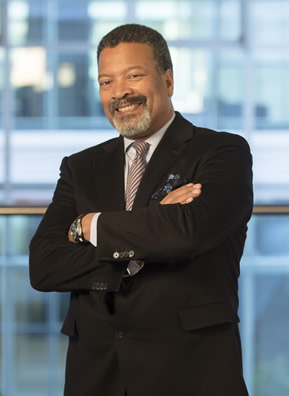 Mike Blackman is the Managing Director of Integrated Systems Events, the parent organisation behind Integrated Systems Europe, as well as other events, such as the Digital Signage Summit series of conferences. During his tenure, Integrated Systems Europe (ISE) has become the best-attended AV tradeshow in the world. The show has enjoyed year-on-year growth. To give you an idea: in 2004, its first year, it had 120 exhibitors and 3500 attendees, and in 2008, it had 484 exhibitors and just over 22,000 attendees. ISE 2015 welcomed over 59,000 attendees to the show floor, which hosted over 1000 exhibitors, and for 2016, the showfloor, which is sold out, will be 11% larger than it was in 2015. ISE 2016 will see the show grow by an extra day to be a four-day show for the first time, starting at 10am on Tuesday 9 February and concluding at 4pm on Friday 12 February. It will, of course, be returning once again to Amsterdam RAI. In this exclusive interview with KNXtoday, Mike Blackman gives us an overview of the relationship between ISE and KNX, and what should be of particular interest to KNX professionals at this year’s show. The show floor at ISE2015. KNXtoday: How has ISE’s relationship with KNX been developing over the years, and what has it inspired you to do for ISE 2016? Mike Blackman: There has been a strong partnership between ISE and KNX for several years. This is the third year that the KNX Association has supported the Smart Building Conference, which will, once again, be held on the day before the show. The Smart Building Hall (Hall 12) is now an established element of the show, and KNX and its members have been a driving force behind that development. Two of our Show Floor Theatres at ISE 2016 – Residential Solutions and Commercial Solutions – are being supported by KNX. 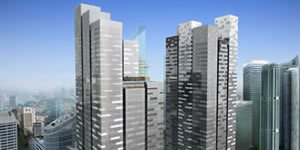 Smart Building is a significant element of ISE and KNX is a very important partner. We’re looking forward to combining once again and helping companies and individuals find the right solutions and, ultimately, do more business. 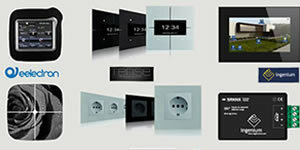 Two Show Floor Theatres will be supported by KNX. 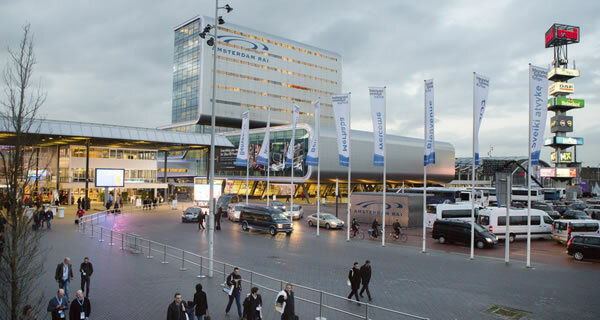 KNXtoday: What are your priorities for ISE 2016, and what are the notable changes from ISE 2015? Dr Michio Kaku is giving the closing keynote. Mike Blackman: The most obvious change is the extra day, which will have lots of activity going on around it – on both the Friday itself and on the Thursday evening. We’ve heard from a number of exhibitors who are planning special get togethers for the Thursday evening, as they look to maximise the time they have to spend with their customers in Amsterdam, which is one of the world’s great cities. 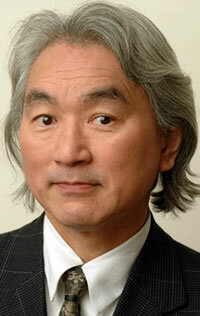 Dr Michio Kaku, one of the world’s leading scientific figures, will present our Closing Keynote (register here) on Friday morning. His keynote promises to give compelling insight into how technological developments will help to shape the future. We are focused on making the fourth day a success, so that our exhibitors get even more value in return for their commitment to the show. For that reason, we are offering free attendee parking on the final day for up to 2500 cars. Other additions include: the Drone Arena, which will welcome leading drone manufacturers, and will deliver a programme of presentations and demonstrations; the Show Floor Theatres will grow by one to include the Audio Solutions Theatre; and you’ll see a focus on IT as its prominence in AV continues to grow. ISE 2016 kicks off with our Opening Panel Discussion and Opening Reception on the evening of Monday 8 February. KNXtoday: What should those interested in KNX look out for at ISE 2016? Mike Blackman: The first thing to mention, of course, is the Smart Building Conference, which is one of our pre-show events, taking place on Monday 8 February. The theme for this year’s conference is The Network is the Building. It will explore how the IP backbone changes the way we work, the way we live, and the new services now possible with today’s buildings. Also check out the Show Floor Theatres, particularly Residential Solutions and Commercial Solutions. There will be lots of interesting insight and plenty of industry expertise on offer. 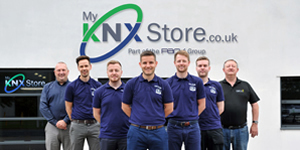 Our overall focus on IT is an interesting one for KNX. AV technology is now much more network-centric, and two worlds that were once quite separate, have joined forces to create intelligent products and intelligent solutions. 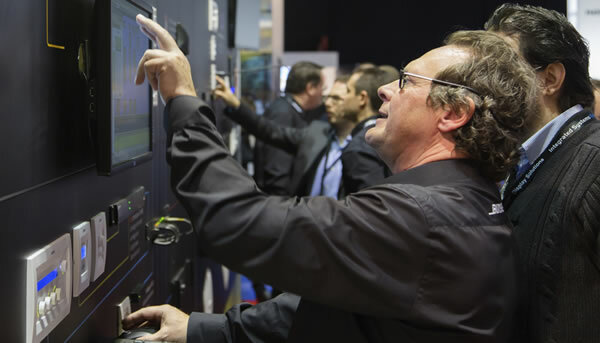 KNXtoday: How is the show floor arranged and how can KNX-focussed visitors best prepare for the show? Mike Blackman: The show floor is arranged into categories of interest. That includes Smart Building in Hall 12, where attendees will find the KNX stand, which will host a number of companies, including: Elsner Elektronik, EMT Controls, Dakanimo, Tense Top Design Switches, Thinknx and Simon. 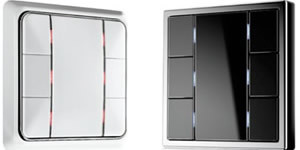 The hall also features SMART Technologies, QMotion Shades UK, Z-Wave Alliance, Savant Systems Europe, and many more. There are other ‘zones’ such as Residential Solutions in Hall 5 and Unified Communications in Hall 9. Interactive floor plans are positioned around the show floor. They offer various search options which will help you find your way around. There will also be category-specific route planners available. While we have these areas that bring together exhibitors of a particular industry category, there is much more to be discovered around the exhibition. So, the highest concentration of smart building exhibitors is in Hall 12, but attendees can find smart building in other parts of the exhibition, not just Hall 12. The highest concentration of smart building exhibitors will be in Hall 12, but smart building technology will also feature in other parts of the RAI. KNXtoday: Are there any events or activities that are designed to enrich the experience of the visitor? Mike Blackman: We have lots of new features and initiatives. The Drone Arena is making its debut at ISE 2016. 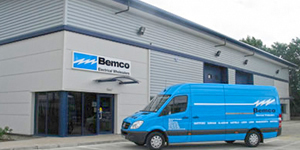 Although it isn’t specific to the KNX market, it represents an exciting opportunity for integrators. Drones and unmanned vehicles have the potential to have a huge impact on the AV/IT integration market. Some are describing it as the beginning of a large innovation cycle that our industry hasn’t seen since the mobile phone went from the military battlefield to the construction site. The Drone Arena, which will be located at Park Foyer, outside the back of Hall 8, will welcome leading manufacturers and the latest product innovations, and will cover professional, commercial and consumer opportunities. It will feature education sessions and live demonstrations on every day of the show. For more information about that and other initiatives, keep an eye on the ISE website. KNXtoday: What is your advice to anyone considering coming to the show? Mike Blackman: ISE is a big show, so it pays to plan your visit. I’d recommend downloading the free ISE Mobile app beforehand. It will be your best friend by the end of the show – not only for finding your way around and making sure that you’re on time for important appointments, but for connecting you with the heartbeat of the show. Research all of the CEDIA, InfoComm and Show Floor Theatre sessions, to see what might be relevant to you. You may need to register for some of them before the show starts. These sessions are a valuable part of ISE 2016; they provide a unique opportunity to connect with a wealth of expertise. If your focus is KNX, then I advise you start in Hall 12, but there is much more to discover around the entire exhibition. 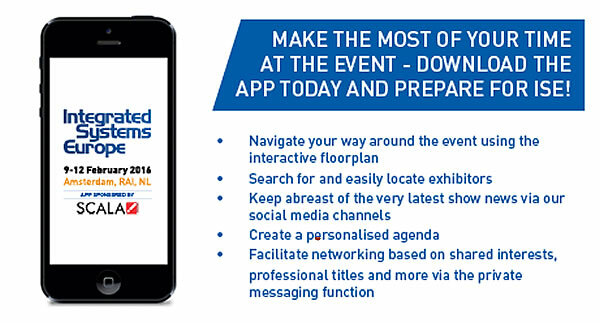 Before you get to Amsterdam, use our online tools, like the ISE 2016 app and the meeting maker. There are also printed guides available at the show that will help you navigate the floor effectively. We also have special travel and accommodation offers available via the ISE website with selected hotels and free shuttle services to and from the show. We look forward to welcoming you! Mike Blackman is the Managing Director of Integrated Systems Events, organiser of ISE – Europe’s best-attended tradeshow for professional AV and electronic system integration.